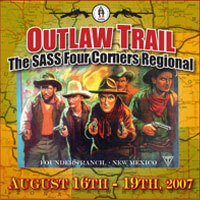 It is time to sign up for the Outlaw Trail at Founders Ranch on August 13 -17, 2008 It is a no frills match and were shootin’ 18, countem’ 18 stages on the Action Side and 6 Stage Triple points match on the mounted side. It is the Four Corners Regional So here is your chance to win and get a free ticket to Winter Range Nationals. • Mandatory Action Shooters Meeting – 8:30 a.m.
• Action Shooting 18 Stage Main Match Stages – 9:00 a.m. – 3:30 p.m.
• Mandatory Mounted Shooter Safety Meeting – 12:00 p.m.
• Mounted Fun Shoot – Two Stages 12:30 p.m.
• Mandatory Mounted Shooter Safety Meeting – 9:30 a.m.
• Mounted Shooting Main Match Stages 1-4 – 10:00 a.m.
• Are You Smarter Than A Fifth Grade Cowboy? • 22 Caliber Shootout on the Shooting Gallery – Everybody Shoots! • Mounted Shooting Main Match Stages 5 & 6 – 10:00 a.m.
Get in touch with this Houston sexual assault attorney for any case you have. Next articleBack in competition – sort of….